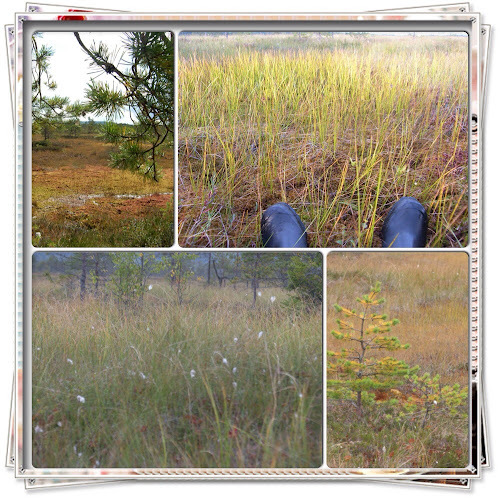 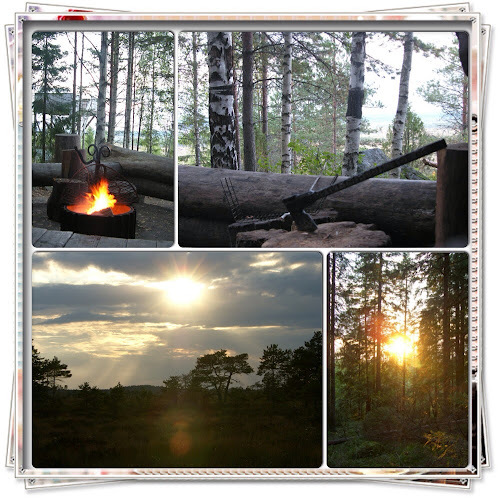 We went for a hike on Torronsuo bog approximately 100km North-East of Helsinki. We walked along the duckboards through the bog admiring the fabulous colors around us, then through the forest to a road that took us to this cabin and lean two with a fireplace. 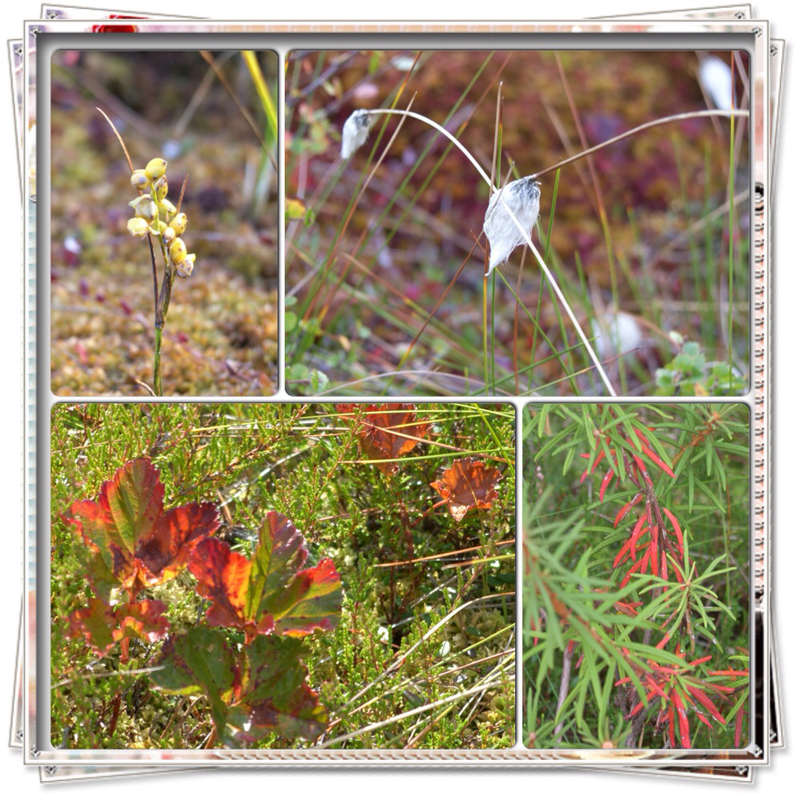 The path through the bog was aligned with wiry hay, cotton grass, marsh tea, a lot of cranberries everywhere and some small lingonberries, but no cloudberries anymore; their leaves were already turning red. 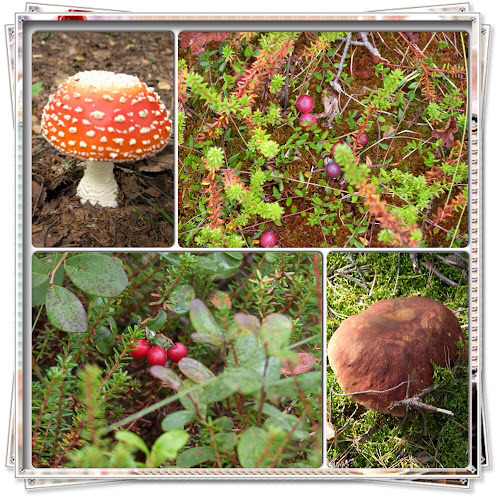 Small mushrooms were growing in the wet bog, but the surrounding forests were home to some rather big fly agarics and porcinis.